Whatever happened to that green team from Milton Keynes? The early days of a new year should be put aside for easing yourself gently back into business after either a festive season of too much relaxation or, perhaps, too much fun. Either way, it's still too soon to get serious about the new F1 season, but in 2002 things were different. Jaguar were the first team to launch their car ahead of the 2002 season, and they did it on the fourth day of the year. Three years ago, to this very day, Ferrari were launching their new car for the 2009 season - the F60. A change of chassis numbering reflected the team celebrating their 60th year in the sport, and they were coming off the back of a Constructor’s Championship the previous season. In fact, they had secured the previous two constructor titles, and would have also been defending double driver’s titles too, if not for that very last emotional minute at the Brazilian Grand Prix. Former F1 world champion Damon Hill was confirmed as the new President of the British Racing Driver's Club on this very day five years ago. He took over the role from Sir Jackie Stewart, who had been in charge of the club for six years previously. Busy launching their brand new car for the 2009 season, McLaren found themselves with something else to announce. Team principal Ron Dennis was to step down from his role, handing it over to his second-in-command Martin Whitmarsh. Seven years ago, Williams debuted the design of their brand new car - the FW26 - to much consternation amongst fans and the paddock alike. The design featured a much shorter nose than normal, with the front dipping down rather suddenly. The struts split into two with a wide gap between, and that gave it an odd look, resulting in the car being dubbed "tusk-nosed". Whilst still puzzling over Lucas di Grassi's formation lap accident in Japan last weekend, several other pre-race crashes have been highlighted, and it just so happens one took place on this very day five years ago. The Chinese Grand Prix was the final race of the season - a year refreshingly led by Renault and McLaren, after the previous Ferrari dominance. Jacques Villeneuve won his one and only championship in 1997 behind the wheel of the Williams FW19. It was a good year for him, even with the small matter of a disqualification for one race. He scored ten pole positions, and picked up seven wins, which was enough to see him end the year on top - the driver's champion. I have always loved the tale of how Jordan became Force India - through Midland F1 and Spyker. I like that a team can continue onwards even when the owners choose to say goodbye. It happens a lot, I know, but the Force India tale is an epic one. Jordan quit the sport in 2005, and the Midland outfit took over for just one solitary season. Canadian Alex Shnaider headed up the Midland Group, who saved the ailing team, but his support only lasted for a year. 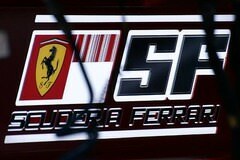 By the end of 2006, the team were sold again, to Dutch car manufacturer Spyker. In the midst of the 2006 season, Mark Webber was racing with Williams F1 and not doing particularly well. He was with the Grove-based team for two years, with the highlight one solitary third place podium finish at Monaco in 2005. After a string of retirements the next season, the relatively new Red Bull squad snapped him up for the 2007 season. Hasn't he come a long way since then? It's fair to say that Silverstone is one of the more popular circuits on the calendar. Whilst the racing isn't always superb, the track is supported by lots of history, plenty of emotion, and of course, passionate fans. Why is it, then, that Silverstone is the one track that always seems to have a shadow hanging over it? 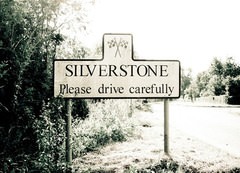 If something is about to kick off in F1, just wait until the British GP for it all to become clear. When Roland Ratzenberger hit the wall at Villeneuve corner at Imola on April 30th 1994, Formula 1 was left to face with its first competitive fatality since Ricardo Paletti at Montreal twelve years earlier. The sudden brutality of the accident fractured the base of Ratzenberger’s skull and sent shockwaves through an already nervous sport – Rubens Barrichello having crashed heavily the previous day at Variante Bassa, knocking him unconscious and breaking his nose. It is Ralf Schumacher's birthday today, and as our series of posts reminiscing on F1 gone by continues, let's take a look at what the German was getting up to on his special day while he was in the sport. A young Ralf, aged just 21, made his F1 debut in 1997. On the 29th June that year, he lined up on the grid in third place - behind his brother on pole for Ferrari, and Heinz-Harald Frentzen second for Williams. Part of the fun of a sport with such a vast history as F1 is looking back on things that have happened with the benefit of hindsight. For instance, on this very day just four years ago, a young driver by the name of Lewis Hamilton had his fingers crossed that McLaren would grant him a seat. Our next visit into the motorsport history books actually takes a bit of a step away from F1 to see what current HRT golden boy Karun Chandhok was up to. I uncovered an article on Autosport from 2008, in which it was reported the then GP2 driver was given the all clear after an accident in Monaco. I was browsing through news from days gone by and uncovered an article where, in 2005, Trulli was approaching Monaco with the memories of a win the previous year, hoping against hope that he could do it again. It didn't happen and the two races could not have been more different. Continuing Sidepodcast's series of entries reminiscing on events that have occurred in seasons past, I offer a curious statistic. Two years ago today, Giancarlo Fisichella was involved in his third consecutive first-corner collision in Turkey. I am not sure if this constitutes a record, but it is a difficult chain of events to explain. Nonetheless, I will try. In our continuing efforts to relive the good old days of F1, our On This Day series has taken an interesting turn. There was some discussion in the comments today about the possible reasons behind Lewis Hamilton's tyre failure during the Spanish Grand Prix last weekend. In an attempt to discuss the brighter side of F1, we're delving into the history books to see what happened in May of varying years. I knew exactly what I wanted to write about. Not quite this exact day, then, but a an interesting story, quite close to my heart. On the 7th May 2006, Franck Montagny made his F1 race debut, behind the wheel of a Super Aguri.